“When the private jet that Jared is aboard crashes in Northern Alberta, Jared is “rescued” by a Cree teenager who’s spending the summer with his grandparents and younger brother at their summer camp. The plane’s pilot is badly injured and there seems to be no way for Jared to make contact with the outside world, his computer smashed beyond repair and his cellphone without reception. There’s a big hill nearby, and Jared is sure that if they can just get to the top, he’ll get a signal, but Kyle warns Jared that climbing that hill is dangerous. 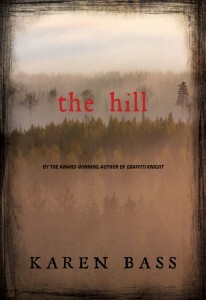 His Kokum, his grandmother, has warned Kyle to stay away from the hill; it is haunted by evil spirits. But Jared won’t listen and, having mounted the summit, the boys suddenly find themselves in an alternative reality faced with a Windigo, a cannibalistic evil spirit that begins to pursue them through the wilderness. And this is not just any Windigo, but the Wîhtiko.